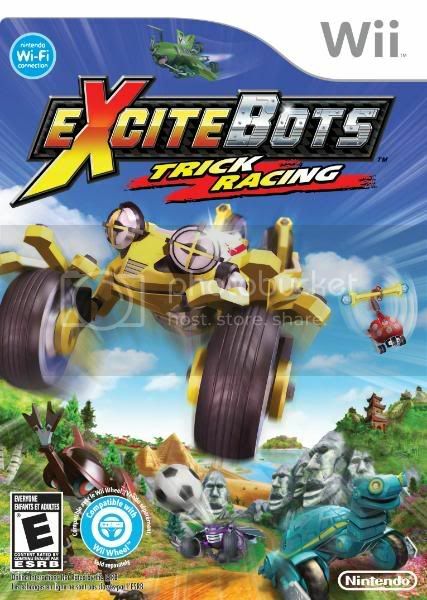 Excitebots: Trick Racing is a “sequel” to the Wii’s launch title Excite Truck, and mixes many of the same basic mechanics with lots of new ones. While this title still focuses on fast racing and big jumps, there are an assortment of new tricks and activities you can perform via numerous different types of objects. To find out about these additions, how the online plays, and what the hell is up with those bug-karts, read on.